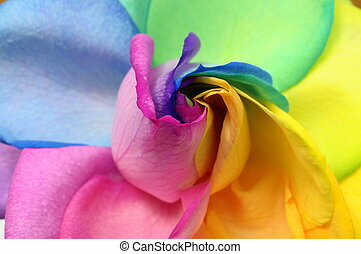 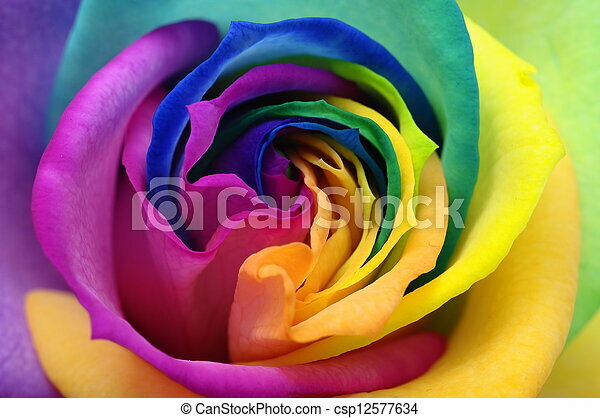 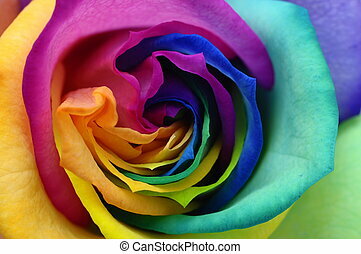 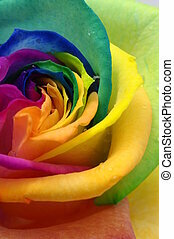 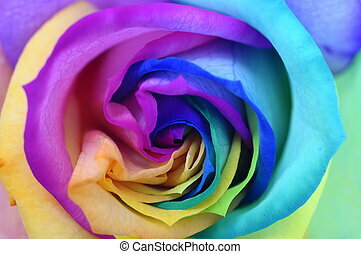 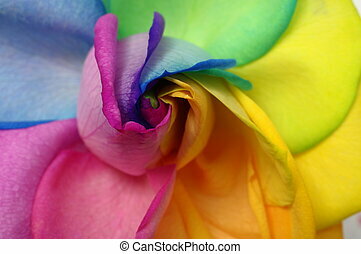 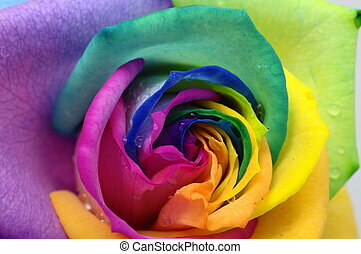 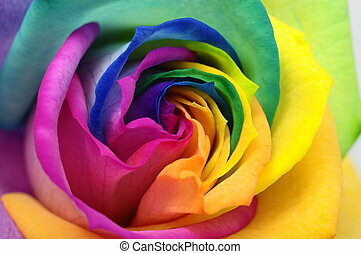 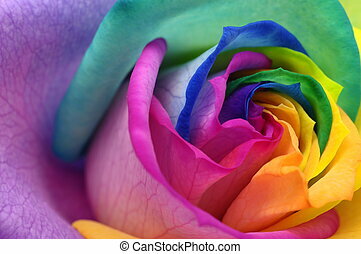 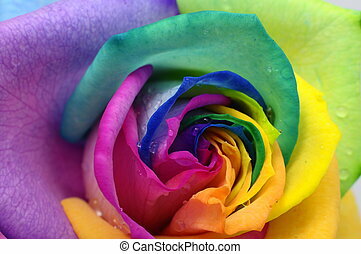 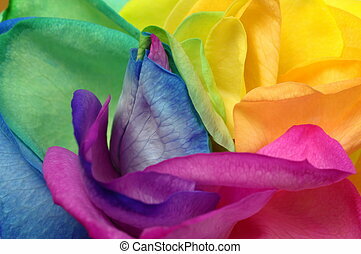 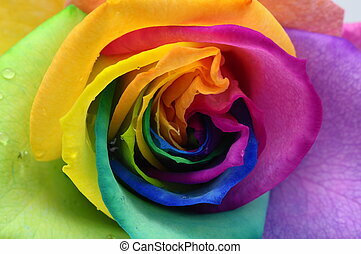 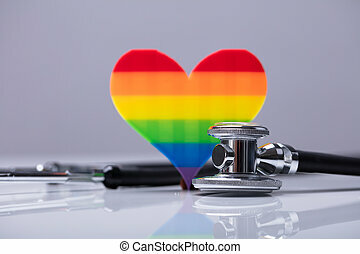 Close up of rainbow rose heart. 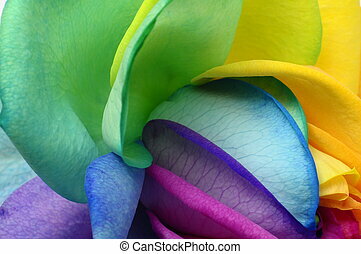 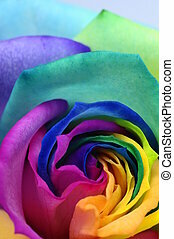 Macro of rainbow rose heart and colored petals. 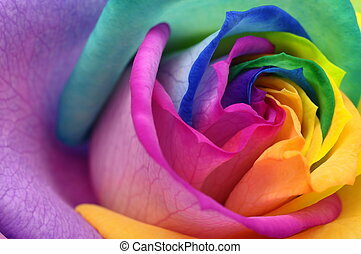 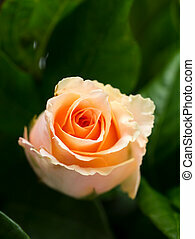 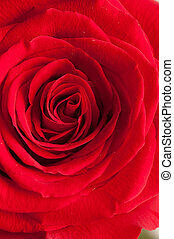 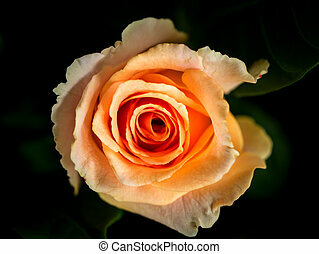 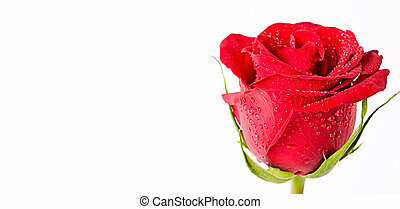 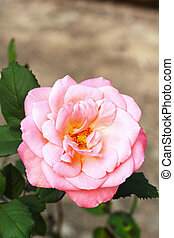 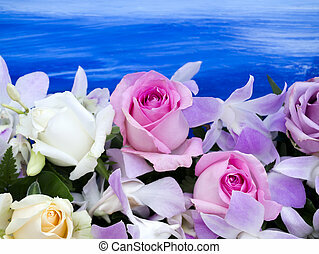 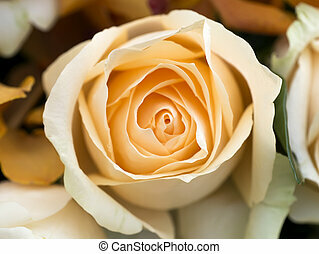 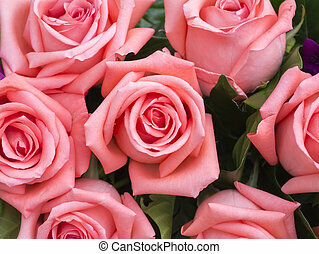 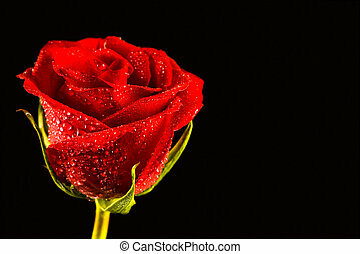 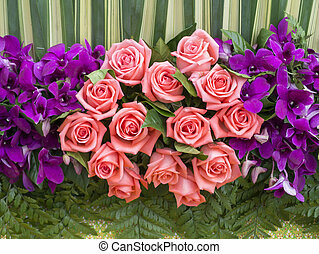 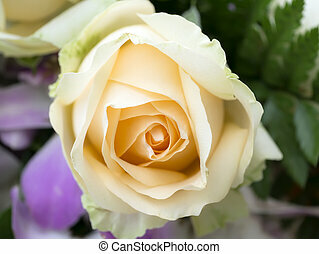 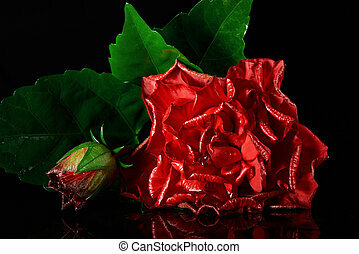 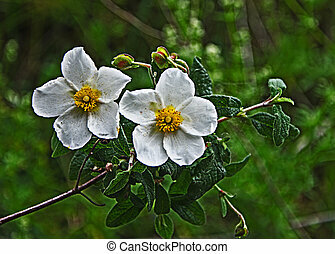 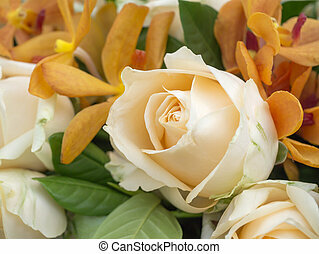 Close up of rose. 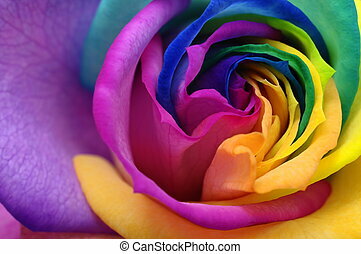 Out of focus image.